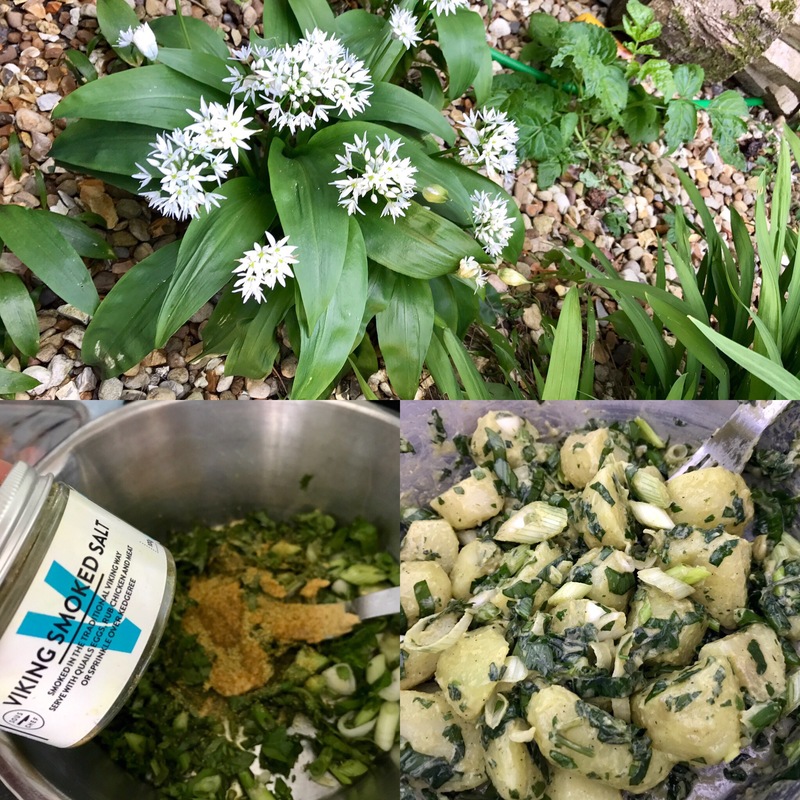 Home › Dinners/Suppers › Wild garlic jerseys, spring lamb choppies, purple sprouting broccoli.. bye bye winter! This is just the kind of supper to really say see ya laters to winter .. full of the joys of spring! (Hmm I think so anyways!).. )..
It’s kinda simple yet hey.. what would be the point of just telling you that .. let’s use some pics too right? And finally hit up with one of bestest gifts from Mrs Fitz.. a selection of world salts.. this salt being the Viking smoked salt.. freckin awesome ! 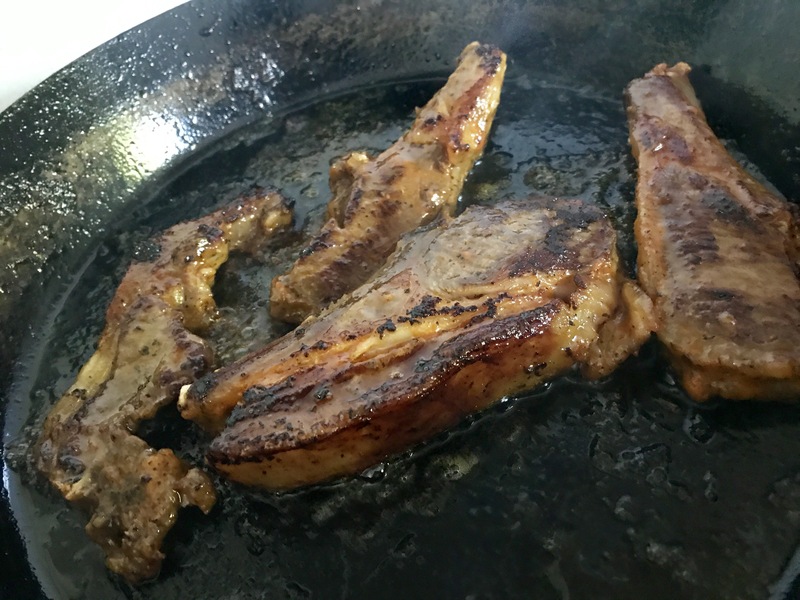 Ummm ok that’s all set to one side.. gonna be eaten at just above room temp..
Rightyhoo the lamb… we really have a thing for minty lamb.. not the super bright weird looking packs in some of the more dubious high street ‘butchers’ yet not too far off! Just a better mix I guess ..
Oh my giddy dandy .. 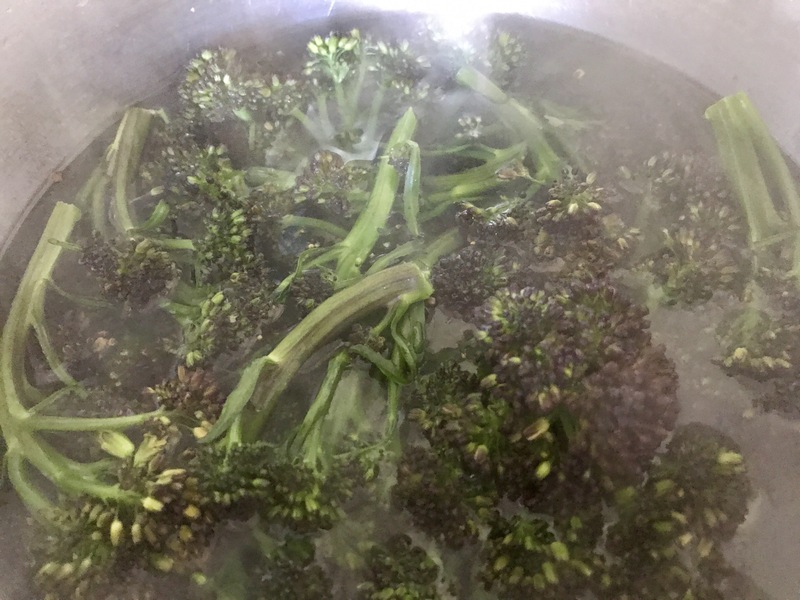 The purple sprouting broccoli? Just clicked off kettle water poured straight on top.. left while getting the plates a little warm.. drained and tossed in table salt, black fresh pepper and unsalted French butter..
And blam blam blap blap..
Meat & at least 2 veg..
Catch you later winter… it’s been a ball yet time for a change.. trust me it’s not you… it’s me.. well it’s just a thing right? It was fun yet… well … ummm … see ya … let’s hook up later this year ok? Sausage making time! 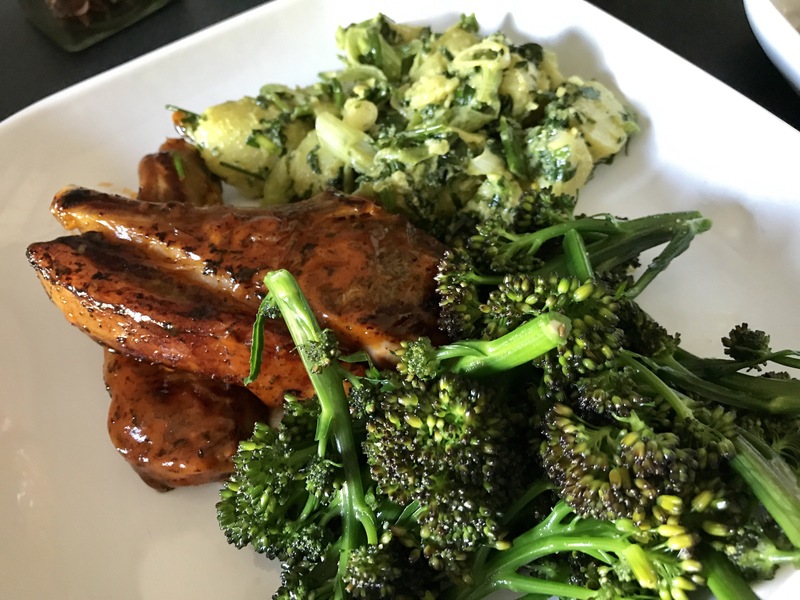 (And hogget chops, jersey royals and purple broccoli).. Perfect meal, that lamb looks delicious!